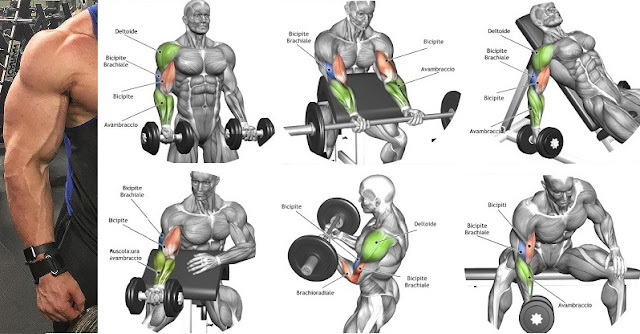 Here are the 5 best exercises that focus on the biceps to add after your rows and pulldowns. Use these and build eye-popping mass. When starting on a muscle-building program, one of the key body parts that many people want to place a large focus on are the biceps. The biceps tend to be a highly noticed muscle group by others, so if you have nicely developed arms, people are going to know you're on top of your workout game. It is important to keep in mind that in actuality the triceps muscle comprises a very large component of the arm, so you must not neglect your triceps work either, which will then give you the perfect balance of what you need to see optimal results. When you are aiming for maximum size, another important point to note is that lifting heavy must be placed as a priority. Since building more size is a combination of a heavy surplus, enough volume, and plenty of calories, it's a wise decision to focus on exercises that will allow you to lift the heaviest weight possible. Usually for most people this will be exercises such as rows and lat-pulldowns, both of which target the biceps muscles as well. If you are including these regularly with your workout program and then adding in other exercises that are specifically targeted towards the biceps muscles you will be right on track for developing the best arms you can. Here are the five best exercises that focus on the biceps to add after your rows and pulldowns. The first biceps exercise to perform is barbell biceps curls, which will also allow you to overload those biceps with a heavy weight. Most trainees are slightly stronger when lifting a barbell versus a set of dumbbells, so this is a great one for maximum strength development. When doing the exercise, the primary thing to focus on is that you're not cutting the movement pattern short at all, and that you're not allowing momentum to cause you to lean backward as you hoist the weight upwards. This is one of the most common mistakes with this exercise momentum performs more of the work than your muscles actually do. If you perform it in a slow and controlled manner, that should reduce the chances of this happening significantly and allow you to place a higher intensity deep within the muscle fibers. 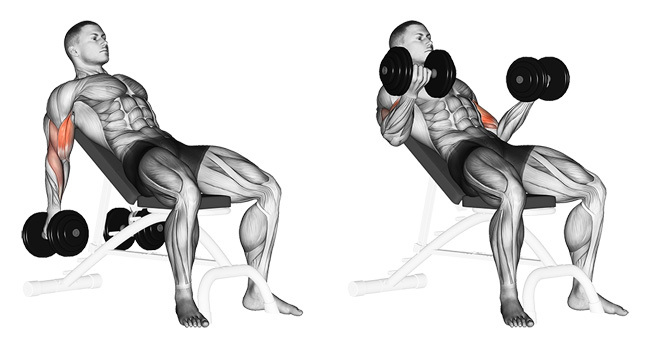 The second exercise to add is incline dumbbell curls. This exercise is one of the best to help prevent that momentum issue from happening as we just discussed, since it essentially restricts the movement of the back. When doing this exercise, you will feel maximum tension on the biceps muscle belly, so don't be surprised if the weight is slightly lower. As long as you're pushing yourself hard, using the lower weight but maintaining proper form will be the way to go for results. If you're looking to target the deep-tissue muscle fibers, cable curls are a good bet. 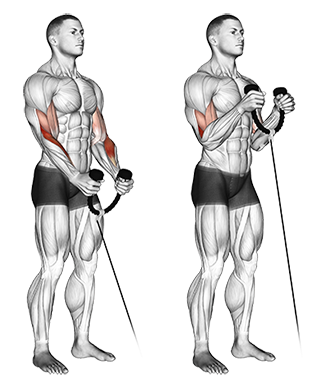 Since the pattern of movement is less stable with this movement, due to the constant tension provided by the cable, you will call all the stabilization muscles surrounding the biceps into play as you execute the exercise. You can use a variety of different attachments to perform the cable curls including a rope, a straight bar, or rotating cable handles that allow you to work a single arm at a time. After you've included regular straight rows within the program, you may also want to consider adding reverse-grip rows as well. 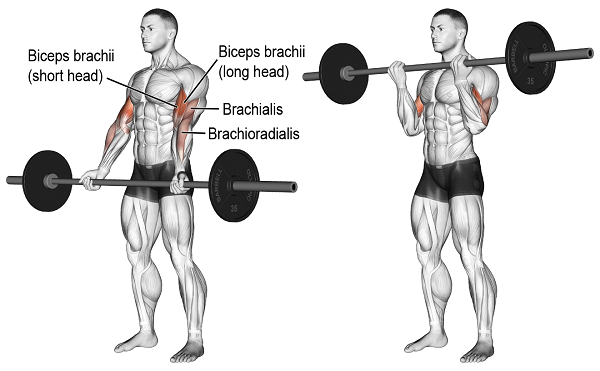 These are going to place a slightly greater stress on the biceps muscles as opposed to straight rows, so they will be a better exercise for strictly targeting the biceps. Depending on what muscle group you think of contracting as you bring the weights up to the body (the biceps or the back), that too will impact the nature of the muscle stimulus. Finally, the last of the exercises to consider to blast your biceps into growth are concentration curls. When done while sitting, these will also limit the degree momentum plays in the execution of the exercise and place all the emphasis right on the biceps muscle. There will be no helper muscles called into play when doing concentration curls (when done properly), so this is a good one to add in at the very end of your workout when you're really looking to finish off the biceps and fully exhaust them. One of nature’s most underrated fruits, the bananas are one of the most popular foods in the world because of their perfect portion size, natural protective wrap and cheap price. 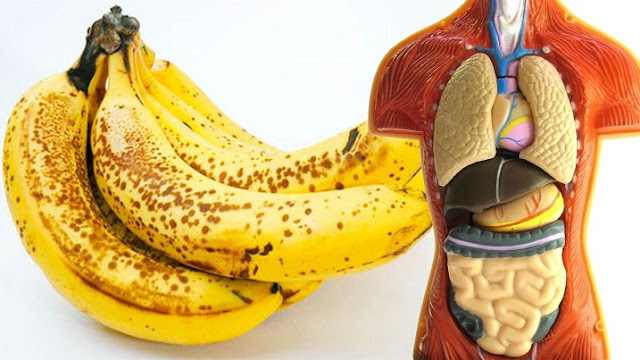 But did you know that bananas can provide you with some amazing health benefits? Eating 2 bananas a day can help you control your blood pressure, keep your bowels healthy, lose more weight and protect your eyesight. Bananas contain the natural sugars sucrose and fructose which give them their sweet flavor, but are also packed with vitamins, minerals and fiber which makes them a healthy addition to your lunch. In particular, bananas offer a decent amount of vitamin B6, vitamin C, manganese and potassium. 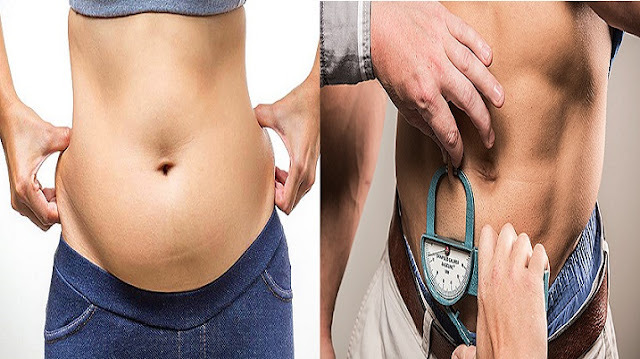 You can lose fat fast and forever without waking up at 5am to run on an empty stomach, without exercising 6x/week, without feeling hungry all the time or cutting your favorite foods forever and without expensive supplements. You only need 3 things to lose fat: strength training, healthy nutrition & cardio. This post will give you a simple, efficient fat loss plan so you can get your body fat to dream numbers while still have a life & eat normally. 1. Get Stronger. Strength training increases cardiovascular fitness, strengthens joints & bones, builds muscle, improves flexibility, … And it also helps fat loss. Maintain Muscle. More strength is more muscle. Strength training builds muscle and prevents muscle loss so you don’t get skinny + fat. Burn Fat. Strength training prevents your metabolic rate from going down when dieting. This means more fat loss. Have you been struggling to get rid of that side fat but are unable to? 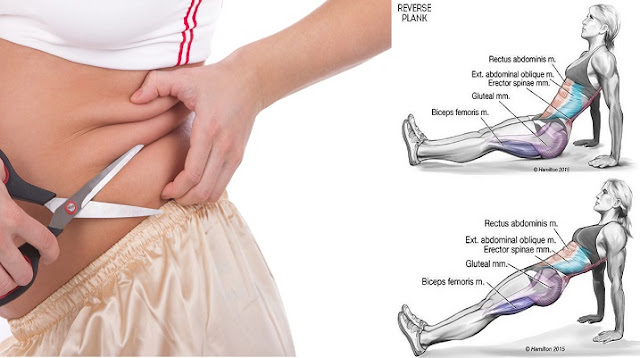 Do you wonder what kind of exercises can help you remove side fat quickly and effectively? Side fat does look very unappealing and is generally the first to appear and the last to go. What if there are certain super-simple exercises that can help you get rid of side fat faster than you had thought? You would love it, wouldn’t you? Wondering how to reduce side fat by exercise? Then you got to read this post and try out the top exercises that can kick off that side fat real fast! Starfish is a variation of Side Plank, which is a killer move for reducing side fat. 1- Get in the side plank position and get hold of your balance. 2- Once you are properly balanced, stack one foot on top of the other and raise your arm into the air. 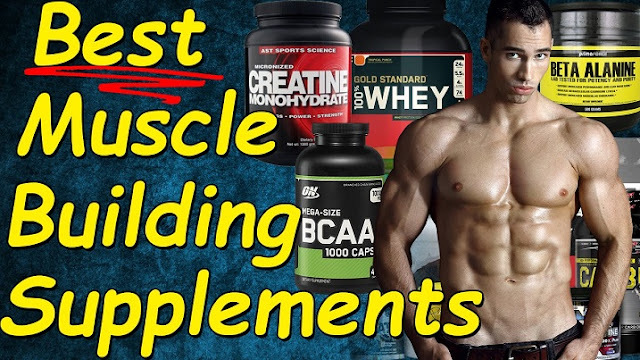 Whether your goal is to increase muscle strength or size, we've taken the guesswork out of supplement shopping with the best products to help you get as big and strong as possible! If you're a serious strength or physique athlete, you've surely heard that supplements can help you get the most from your intense training sessions and on-point diet. But which supplements? The market is overstuffed like a bodybuilder in a child's blazer! You might be tempted to wander through a digital forest of get-big blogs and personal guru websites, but unfortunately those places can often be rife with misinformation. Fortunately, we're here to set the record straight. Knowing what to take, how much to take, and when to take it will help you squeeze every ounce of results from your hard work, so let's zero in on the right supplement stack for your needs. If your goal is to get as big and strong as possible, these 7 products will help you do it. 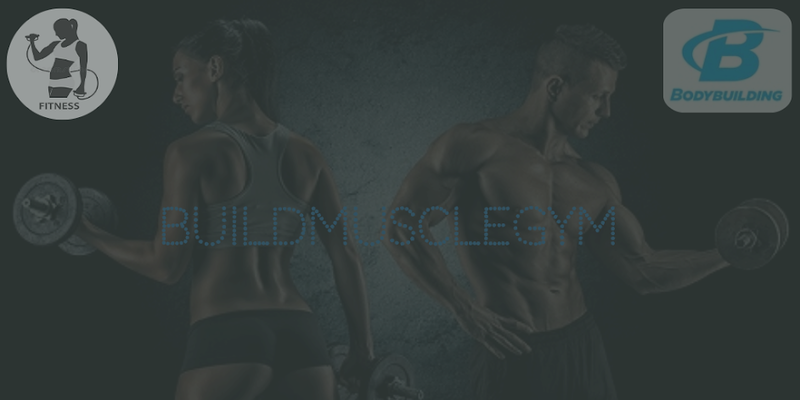 How beginners can build a massive back - Guide discusses the back, its function, and exercises. Try these 5 great back workout programs for size. If you're someone who only like to work out your "show muscles" (chest, arms, abs and some shoulders) then move on, but if you are looking to have a thick, dense and well-balanced upper body then stick around. Today we are going to discuss how to turn your baby back into wide thick wings of muscle. In most cases the back is an afterthought for many beginners. The back can't be seen when you look in the mirror, and most people have a hard time contracting the back when they first start working out, so the majority of beginners do a few half-hearted sets of pull-downs and low cable rows and move on to something else. People think losing weight is hard. Gaining it is no easier. 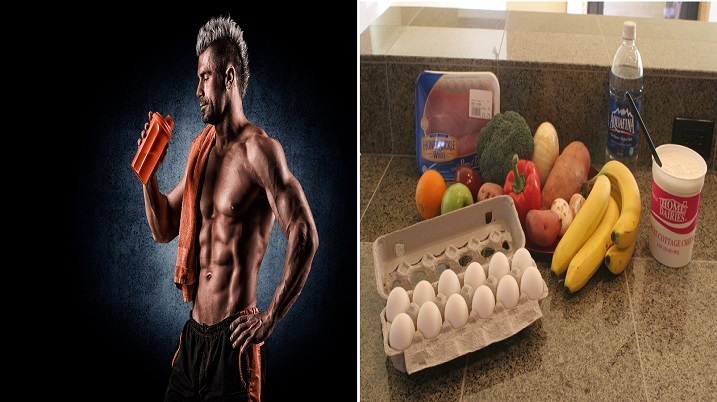 This complete guide will show you how to gain weight the right way with a minimum of body fat and lots of good muscle. There are millions of plans available for people who want to lose weight. But what if you want to gain weight? With more than 32 million visits to our website every month, we get a lot more questions about how to gain weight than you might think. Skinny teenagers, underweight adults, and hardgainers of all stripes constantly search the Internet for guidance on how to gain weight. Well, if you're one of them, your search is over.